For many years, Volkswagen has been a widely recognized brand. Whether you like their vehicles or not, chances are, you know the make of at least one Volkswagen car. Their vehicles have been strategically placed in many blockbuster movies and their advertising is outstanding. In order to get some new ideas directly from the consumer pool, Volkswagen created the brainchild technique called the People’s Car Project, where residents of a specific geographical area (for the People’s Car Project, China was selected) submitted ideas for future methods of transportation that may one day be produced by Volkswagen. With entries for PCP almost reaching 120,000, the People’s Car Project was exceedingly popular. The campaign did well enough to bring in ideas like Smart Key, where your phone controls the vehicle and the Music Car, a vehicle that reacts to the music that is being played by the driver. And how could we fail to mention the hovercar that was entered in to the PCP a few years ago? This incredible concept wound up with a prize in the contest, which is covered in more detail below. Not only that but because of the love from consumers/contributors of the People’s Car Project, the Volkswagen company decided that they will continue to host the project indefinitely. 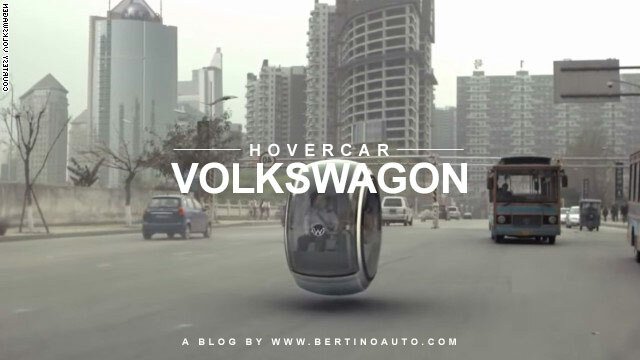 The hovercar concept was so impressive to VW that they created a commercial for it, available on YouTube. The commercial for the car wasn’t released anywhere other than China so the video is in Chinese but can be easily found with English subtitles by looking a little bit. To start off, the commercial shows a man standing in the center of the frame, explaining a bit about PCP and the hovercar. He sends positive words to the designer of the concept, saying congratulations for winning and coming up with the design and when the camera angel widens to show the whole picture, the man is standing next to a computer generated image of the conceptual “hovercar”. The man introduces the designers parents to the viewers, and asks if they would like to take this incredible new vehicle for a test drive. Without a moment of hesitation, the parents volunteer to take the hovercar for a spin and the interesting two-seater vehicle is shown scooting around the streets, drawing intrigued looks from everyone it zooms by. The workings of the hovercar would include magnetic strips being put in to the roads so that the opposite strips on the vehicle would react with them, allowing the car to basically levitate in areas where these reactive strips had been placed. But with no gasoline requirements, the car would be 100% electric, not only making them a beautifully constructed concept but a green option for the future of transportation. With many people running in to extremely annoying problems with traffic lately, not to mention the obnoxious (and unnecessary) cost of gasoline, a concept such as the hovercar would be an amazing help to those consumers who live in areas where there is a heavy concentration of human life, reducing the amount of traffic as well as toxic emissions. Will our auto repair mechanics be working on these anytime soon? Even though you can’t yet head to the dealership and purchase yourself a hovercar just yet, there is a strong possibility that the cars will make an appearance in the market sometime within the next few years. The positive attributes of the concept cover everything from going green to saving the consumer money. says Luca de Meo, the Director of Marketing at Volkswagen. Being a heavily populated and traveled area, China would be the perfect place to test out a vehicle like the hovercar. Marketing experts with Volkswagen would have the ability to study how the car did in such a high volume area in numerous different ways. Battery life, ecological effects, customer satisfaction, and their overall function could be looked over and studied for improvement. Seeing as how the vehicle would be powered by electricity, the hovercar design would possess the potential to gather energy from the sun, producing even more of a benefit for people who had one. By simply just using the vehicle to drive around, the car would charge the solar powered battery within, meaning that the human consumer would no longer have to depend on resources such as gasoline or other potentially pollution-ridden substances. The high quality vehicle of the modern day, eco-friendly consumer would no longer pollute the air and would run off of the naturally occurring sun. Considering the human population increases drastically every single day, technological leaps such as the hovercar are worthy investments in order to help reduce pollution and high traffic in highly populated areas of the world. 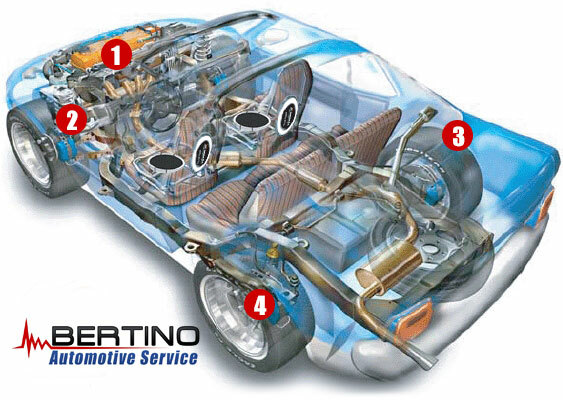 This entry was posted in Auto Repair and tagged auto repair.